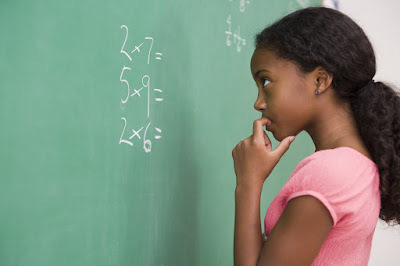 Being Makumi: My Relationship with Math…. 1+1+1 = Huh? My Relationship with Math…. 1+1+1 = Huh? I can’t remember a time when I was ever good at math. And I shouldn’t even be using the word ‘good’ to describe my math prowess or in this case, the lack of it. I never understood the gist of finding X, or the Vectors ‘business’ or Matrices or Binomial Expansions….Oh….just so we are clear, this isn’t me remembering things, that’s just Google at work. But of course someone ended up solving the equation. As if it was the easiest thing in the world for them. As if “Why you morons can’t get a grip and solve a simple math equation is baffling to me?” or “Do I have to be the genius all the time?” And we would clap for them. Obviously awed by this little Albert Einstein’s. Math to me was this elusive thing that I could never grasp. I never had ‘it’ to begin with, so no love lost. I know how ignorant I sound right about now to all the Einstein’s out there but the good thing is, it never bothered me that much. You know what bothered me? When I didn’t understand Shakespeare’s Merchant of Venice the first time I read it. Or maybe the second time. I obsessed over it like Donald Trump obsesses over his crazy Mexico Boarder Wall till I started debating why Shylock really deserved his pound of fresh from Antonio. A man is as good as his word, right? Fast forward to 2016 and nothing much has changed. I still get a headache when a conductor says “Uko na thirty bob nikupe mia…” and I am thinking, not this again! Of course I will smile and give him the thirty shillings but he wouldn’t even begin to understand the kind of mess my mind is at that specific moment. To all the Albert Einsten’s out there….one word, Respect!